Designer salwar suits collection we have styles to pick for wedding and festivals. 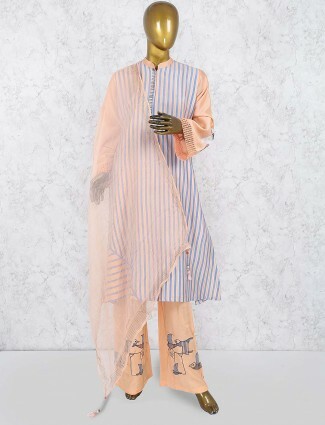 Designs in embroideries with statement techniques to traditional fabrics used to create that stylish salwar suit design. Every lady wants to look different and extra on special occasions and therefore searches for a perfect designer salwar kameez for fashionable look. 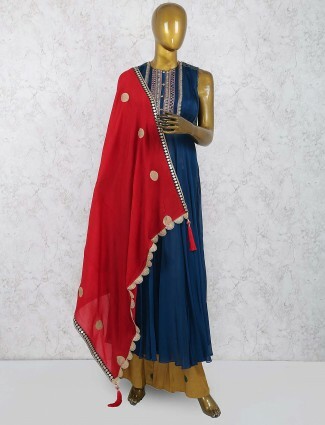 Shopping for designer dresses doesn’t always mean shopping heavy branded label wear or expensive salwar suits, the concept of a designer salwar suit is something that has a new silhouette or pattern cut, a new style of embroidery or embellished concept on the salwar kameez. Come explore and buy latest designer salwar suits online at g3fashion.com to find designs to suit your taste and budget as well. New Designs of salwar suits includes styles of pattern cuts, fabric use, colors, combination and of course colors. Latest designer suits most demanded are pastel salwar suits and tints or light colors of designer salwar suits which work best for parties and day wear outings. A small use of embroidery or embellishment on dominating concept is in trend for designer salwar suits. When it comes to fabric uses, there are many options for you to choose as per occasion like cottons, linen, silks, velvet, net and many more. Most trending designer salwar kameez shopping is on indo western salwar suits or indo fusion styles of salwar kameez which are in layered styles, jackets and shrug styles, dhoti style salwar suits, palazzo suits. Latest designs of salwar suits are styled as per age groups which work for all women. Choices of mid age to higher age women for designer salwar suit shopping will be based on high neck concepts, palazzo suits in designer styles, sober designer salwar suits, simple patterns of straight cut patterns of salwar kameez. While the younger age women would opt for 3 piece designer salwar suits in crop top, palazzo or shoti and shrug concepts. The Front open anarkali suit with pants or the lehenga style indo western salwar kameez styles for weddings and sangeet occasions. Order designer salwar kameez online at G3fashion.com for all kinds of size options and customising in stitching options. 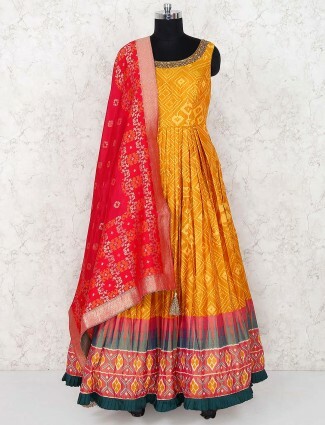 Shop for different occasions and filter out your own style of salwar suits at g3fashion.com which are in budget, affordable price and premium price ranges too. Designer salwar kameez shopping should be focussed for styles instead of just color options to look different. Choose styles of different hemlines, over layer styles, 3 to 4 piece of designer salwar suits or one which has a draped cowl effect on kameez or which has a different motif concept that dominated the whole look. These are all the latest styles to purchase designer salwar suit online just under one whole website at G3Fashion. 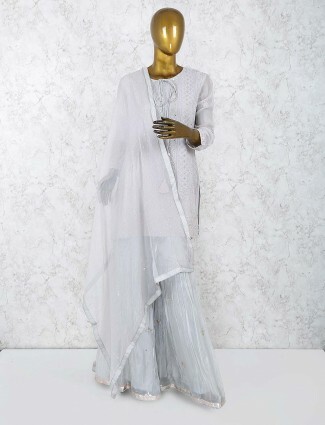 A casual look with designer salwar suit can be worn for outings at day time or a luncheon party or a kitty party. Latest designer suits shopping would need you to choose the right cut and pattern for occasion. So here are some for festivals and parties, choose designer dhoti salwar suits in tunic tops paired with dhoti in satin or crepe, choose a Patiala salwar with indo western long top look and stylish dupatta. Choose the peplum style kameez tops with cowl dhoti or normal dhoti salwar. Also go for shrug or jacket style over wear salwar suits paired with palazzo bottom or skirts with crop top or short kameez top. When shopping for wedding salwar kameez styles in a designer outfit concept, remember to choose those in heavy rich fabrics or embroideries dominating the whole simple look. You can go for those in pre-stitched dupatta patterns or maxi dress and gown style anarakli suits which are the new designs of salwar suits for designer wear styles. Opt for net anarkali dresses with layered net in gown look. Try pant style suit with jacket in net with embroideries or embellished detail all over jacket or shrug. The bandhani shrug style look or dhoti salwar suits are also huge trend and work for mehndi or sangeet event. A heavy bridal anarkali dress in net over layer in front opening and paired with plain silk dress inside or a lehenga in silk and crop top are all new looks for wedding wear salwar kameez. We highly recommend ladies to shop for more than one style of designer wear salwar suits at g3fashion.com which will meet your requirement of style and price. You should find enough options to choose for a designer salwar suit for party , a designer salwar suit for wedding, designer salwar suits for a casual style and those drape styled and pre-stitched gown style designer salwar kameez, to keep them as a party of your closet fashion.